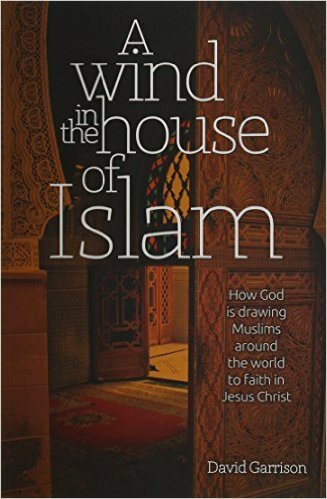 In the introduction of his milestone book/study, David Garrison reveals a movement of God’s Spirit within the House of Islam, a movement of a magnitude that has not been seen over the last 1400 years. “In the course of this book we have learned a lot about Muslims and about how God is at work in the House of Islam. This has been an insightful journey, but if we finish this journey with nothing more than education and observations, we have fallen short of the discipleship implications of this information. Christ’s invitation, indeed Christ’s mandate, is for us to be a part of his great work. Christ calls us to raise our spiritual sails and ride the wind of his Spirit that is blowing throughout the world. How do we do this? Here are five practical steps we can take right now that will align us with God’s redemptive activity among Muslims. 1) Pray for Muslims-Prayer changes things, and every Christian can pray for Muslims…When we pray for Muslims, we begin to see them as God sees them. If you lack a love for Muslims, pray for them and see how your heart changes. 2) Support outreach and ministries to Muslims-You’ve seen the importance of missionary and local Christian witness, Bible translation efforts, gospel videos, satellite television, radio broadcasts, compassion ministries, religious freedom advocacy, ministry to refugees, and other efforts. These ministries are costly. Muslims will not and should not be expected to pay for their own evangelization. That job is up to Christians, Christians from both a Muslim background and from a Christian background. God has placed more wealth into the hands of Christians today then at any time in history. 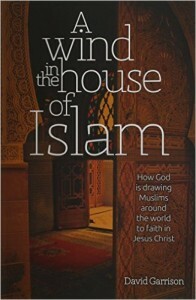 4) Minister to Muslims in your own community-A rich definition of ministry has grown out of the many Muslim movements to Christ around the world; Christians participating in these movements define ministry as “answering the prayers of lost people.” this concept of ministry requires us to get to know Muslims, to listen to them, to become their friends.